If you've ever sat through one of my workshops or keynotes on leadership or project management, you've likely clued into the fact that I have a rather low tolerance for the purely academic. By that I mean ideas, models, and theories that sound great on a white board but are seemingly impossible to be practically applied in the real world. When it comes to management, it's easy to find books that pontificate theory. But every once in a while you come across one that is a breath of fresh air, where the author says it how it is instead of how it should be. An example of one of those books is the latest from Professor Henry Mintzberg, entitled Management? It's Not What You Think! It's a thought-provoking, at times irreverent look at this craft we call management. To give you a taste of what you'll find in this new book, I'm excited to share a recent discussion I had with Henry in this episode. 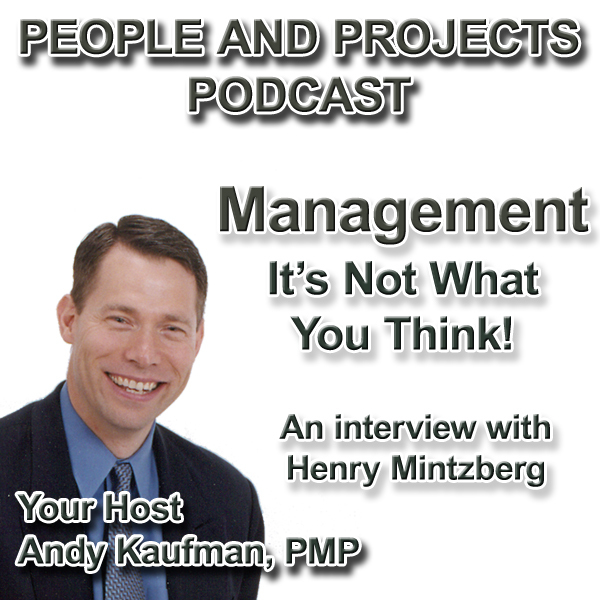 Learn more about Henry at http://www.mintzberg.com and http://www.coachingourselves.com.